The Holidays are officially over, but we still have football to celebrate! I have been preparing for game time by creating fun and easy recipes that I can serve at our football parties. 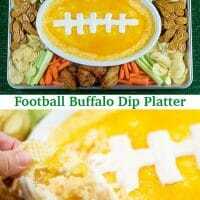 This Football Buffalo Dip Platter is so easy to make and will really wow your guests! The Cheesy Buffalo Dip tastes great on Hot Wings, veggies and chips. 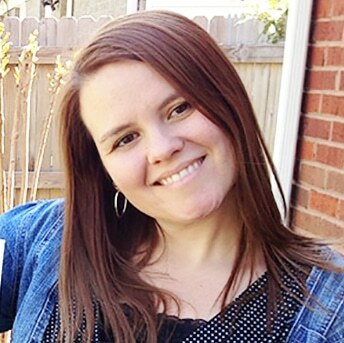 It has all the flavors that I love about Hot Wings in a dip form. The Blu Cheese dressing and Hot Sauce really kicked it up a notch. Everyone loved the presentation and taste of this easy dip platter. To make things easier to prepare… I used the Hot Wings that I always find at the Walmart Deli counter. I love that I can grab them hot and ready to eat! It makes planning for parties so much easier when I don’t have to prepare anything. 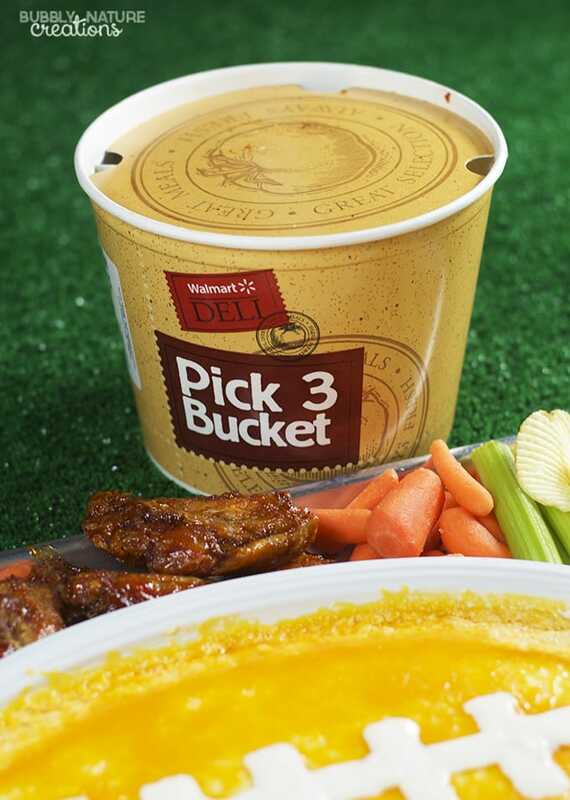 I picked up the Pick 3 bucket this last time and made sure to order Bone-in Hot Wings for the Football Buffalo Dip Platter! My girls prefer a Boneless variety and they had several to choose from. We tried the Buffalo boneless wings and the General Tso’s boneless wings and loved them. The girls especially loved the General Tso’s! The wings from the Walmart Deli are always cooked perfectly. 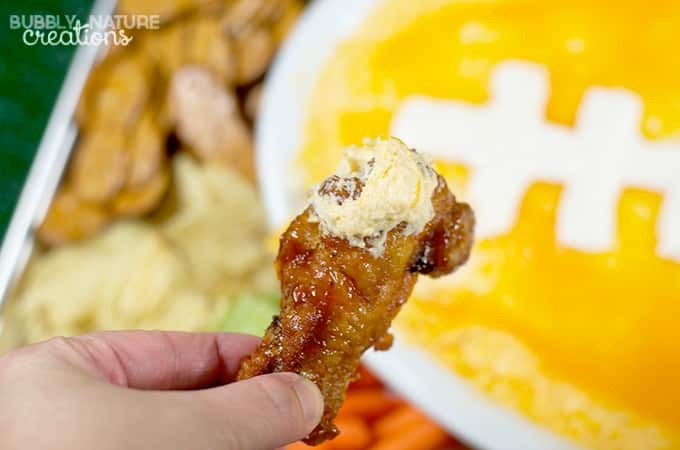 These wings tasted great and everyone loved dipping them into the Football Buffalo Dip! Preheat oven to 350 F. Place cream cheese in mixer and mix it on high until creamy. Add 1 cup of the cheese, the hot sauce and the dressing. Mix until everything is creamed together. Spread the mixture onto an oval baking dish if you have one (If not see alternate directions. Top with the rest of the cheese and bake at 350 F for 10 to 15 minutes or until the cheese is bubbly and starting to brown. Take out and let cool for 10 minutes before adding the sour cream decoration. Put the sour cream in a piping bag or plastic zip bag and cut off a small part at the end to disperse the sour cream. For the sour cream decoration if you have an oval baking dish then just make the laces with the sour cream... if you do not have an oval baking dish then draw out a large football shape first with the sour cream and then finish by making the laces. To serve I placed mine on a large baking sheet and then added carrots, celery, chips, pretzels and the Walmart deli Hot Wings! Enjoy! 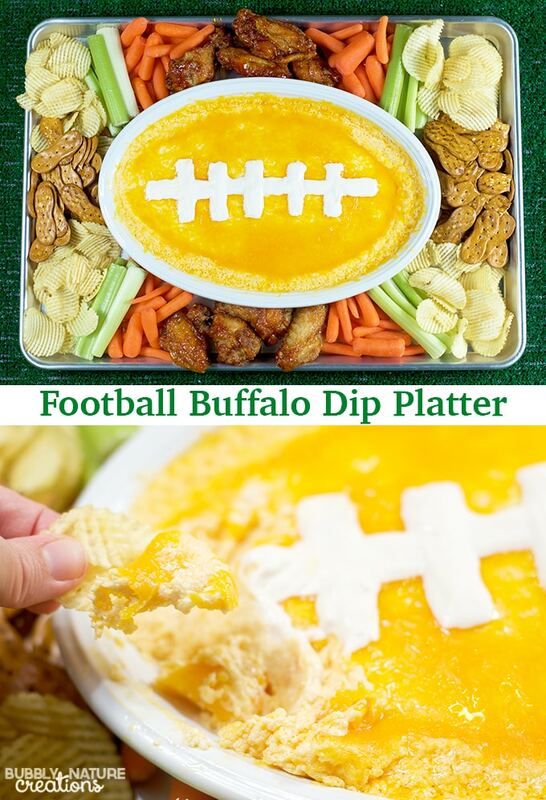 We loved this Football Buffalo Dip Platter so much! I can see this making several appearances at all the home-gating parties we have! 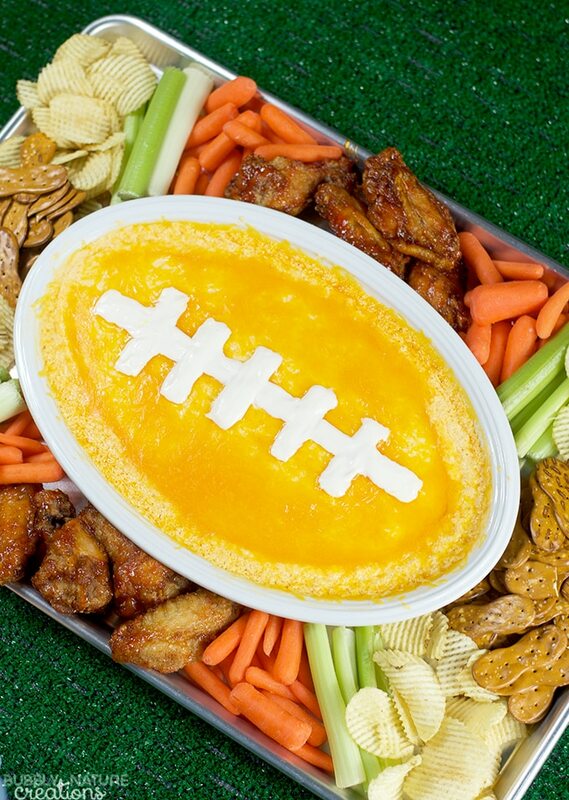 What kind of home-gating party foods do you like to serve? Share them below! Previous Post: « 10 Easy Soup Ideas!